Regular baths improve your loved ones physical comfort by removing excess oil, dead skin and shedding hair, parasites (fleas, ticks), and the resulting bad pet odors. Trimmed Nails assist in the prevention of a painful condition which is when the nerve and blood supply extends into long, overgrown nails. 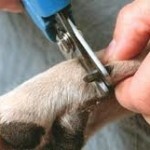 While most importantly, consistent nail trimming can prevent your pet’s from suffering from eventual foot crippling, it also prevents damage to carpets, hardwood floors, furniture, and even scratches on your body. Frequent Ear cleanings discourage the growth of parasites (ear mites) and bacterial growths which can lead to painful infections. Shaved (is this Shave or Shaved?) 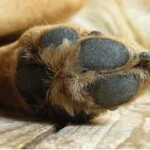 paw pads assist in the removal of mats, burs and other foreign objects if and when they become lodged. Coat conditioner is required when allergic reactions, seasonal changes, age and/or other physical conditions cause the pet’s skin to become overly sensitive and dry. 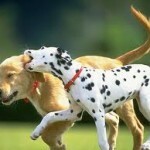 Pets will often scratch dry skin which can lead to secondary infections. Coat conditioner is important if you want your loved one looking and feeling beautiful and healthy. 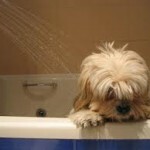 Our professional pet groomers are trained to recognize the early signs of physical problems. 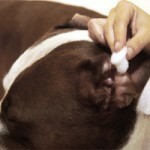 During the grooming process a pet is thoroughly cleaned and examined. Any abnormalities are noted and reported to the pet owner.